Found 5 file extension associations related to The Journal and 5 file formats developed specifically for use with The Journal. Whatever your journaling or writing needs, The Journal gives you unmatched convenience, flexibility, security, and reliability. 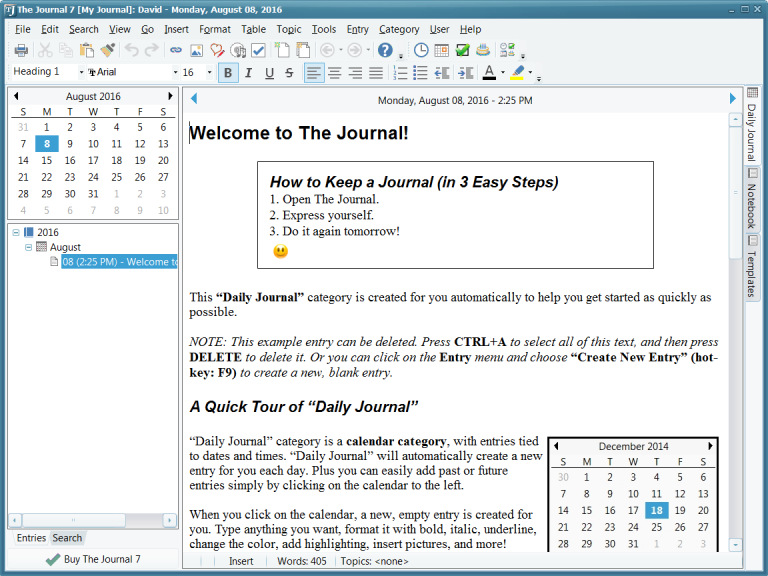 The Journal is always available when you need it, and lets you make entries with text, photos, images, and just about anything else. Plus, The Journal’s optional password-protection and encryption ensure that your secrets remain secret. If you need more information please contact the developers of The Journal (DavidRM Software), or check out their product website.